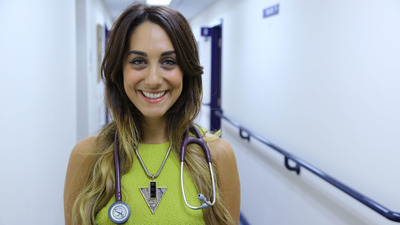 Dr Sara Kayat is a practising NHS GP at Gray’s Inn Medical Practice. She also carries out private consultations at 90 Sloane Street and at 60 Harley Street. Prior to this she worked at Balham Park Surgery which featured on Channel 5’s GPs Behind Closed Doors. She is also This Morning’s resident GP on ITV, regularly offering her expertise on their weekly “Second Opinion” feature. She has appeared on BBC 1 “The Truth About…” series, Channel 5’s The Wright Stuff and is frequently seen on the health segments on ITV News. She has also developed a wonderful on-screen relationship with fellow doctor, Dr Christian Jessen, featuring together in 12 Hours to Cure Your Street and Dr Christian: Special Clinics. She graduated from King’s College London in 2009 with a medical degree (MBBS) and a Bachelor of Science (BSc). She went on to become a junior doctor at Guy’s and St Thomas’ hospital followed by Worthing Hospital. She then specialised in general practice, attaining her membership to the Royal College of GPs (MRCGP) having completed her 3 year GP training at St George’s Hospital in London. She is now a Member for the North East London RCGP Faculty Board. It was during her years of training that she developed a passion for surgical interests, sexual health, and lifestyle medicine, completing a Diploma of the Faculty of Family Planning, and later an accreditation for minor surgery and joint injections. She also practices cosmetic medicine and likes to keep up to date in the world of aesthetics. She is an all-round GP and enjoys writing and advising about the everyday things, from diet, to exercise, to snoring, or stress. She is an advocate of maintaining good mental health and regularly practices Mindfulness and yoga, and she has a keen interest in preventative medicine through lifestyle choices like exercise and nutrition. She enjoys extreme sports such as scuba diving, skiing, bouldering and travelling as far as her air-miles will allow. Her love for travel and extreme environments came together when she took part in Channel 4’s Bear Grylls Celebrity Island, marooned on a dessert island for 4 weeks, learning to thrive and survive with fellow celebrities.